Ships tomorrow if you order in the next 22 hours 2 minutes. Few nutrients have one single effect on our health. They're complex and often go to work in various areas of the body, providing us with multiple healthy benefits. One nutrient that works like this is biotin. 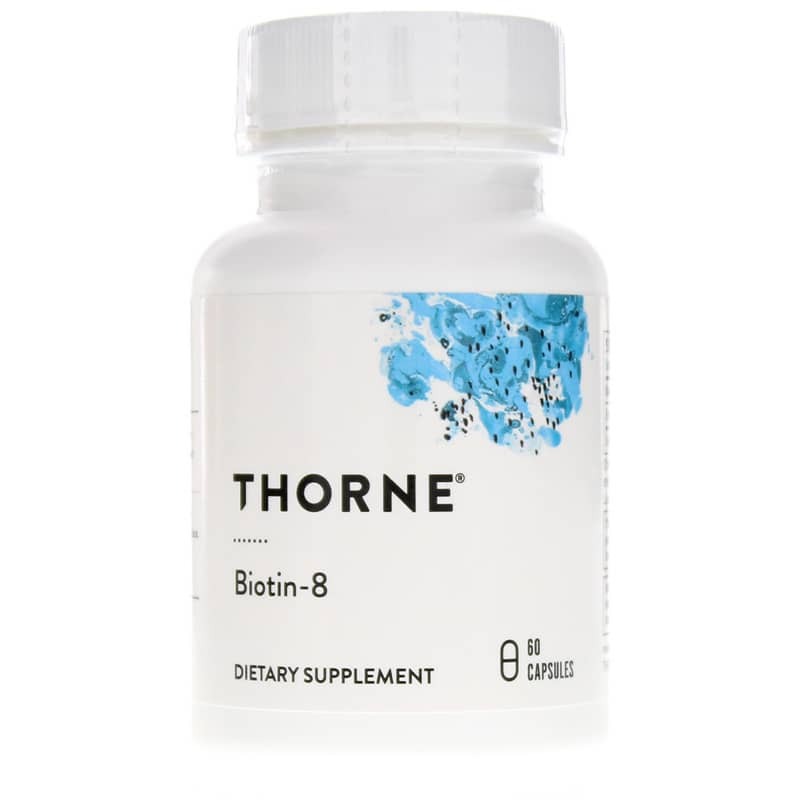 Whether you want to support healthy blood sugar levels, or get stronger hair and nails, Biotin-8 by Thorne Research can help. Biotin-8 is a quality, high-dose formulation of the B vitamin Biotin. Biotin can benefit health in several ways. 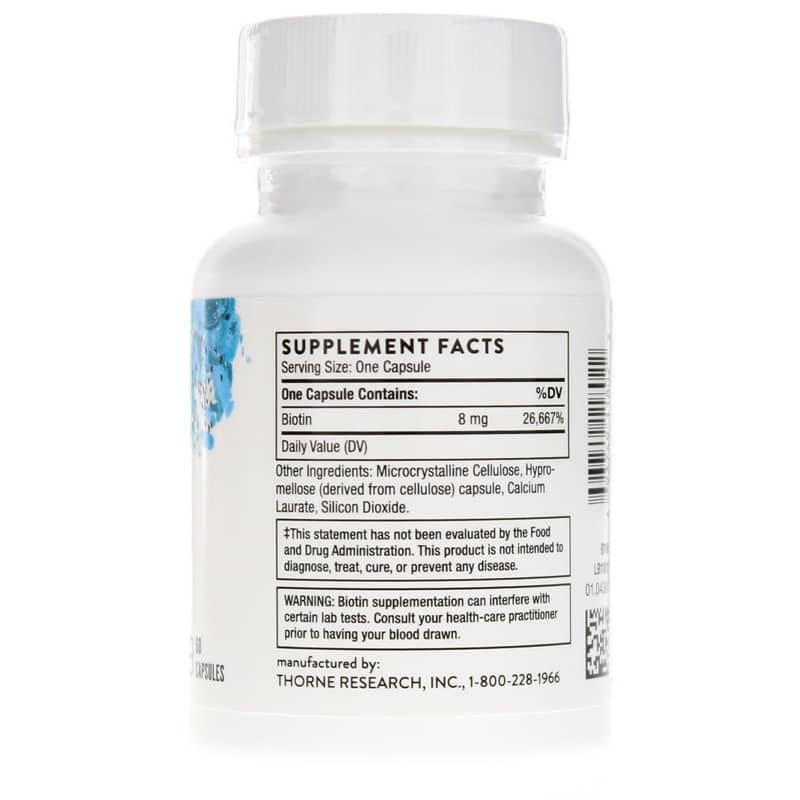 In high doses like in Biotin-8, it can support glucose metabolism by stimulating glucose-induced insulin secretion in the pancreas and glucose metabolism in the liver. It may also promote glucose uptake by muscle cells to enhance muscle insulin sensitivity. Biotin is also an important nutrient for healthy nerve function. In the realm of beauty, Biotin has been shown to provide benefits for skin, hair and nails. In particular, regular supplementation can make fingernails harder and stronger. No matter your reason for supplementing with Biotin, choose a quality source. Choose Biotin-8. Other Ingredients: microcrystalline cellulose, hypromellose (derived from cellulose) capsule, calcium laurate, silicon dioxide, leucine. Adults: Take 1 capsule, 1 or 2 times daily or as recommended by a healthcare professional. 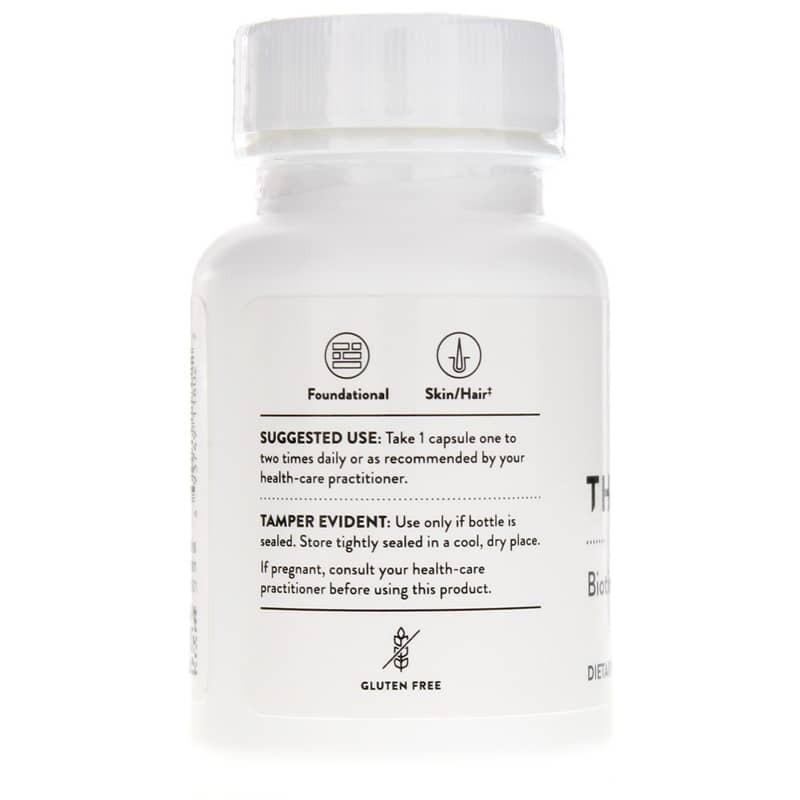 A woman who is pregnant or nursing, or who might become pregnant, should consult a healthcare practitioner before using this product. I like the speed at which this company handles orders. As we know, natural products don't give immediate results, so I don't know how effective Biotin 8 will be for me: hoping for the best. Biotin 8 is great. Highly recommended.